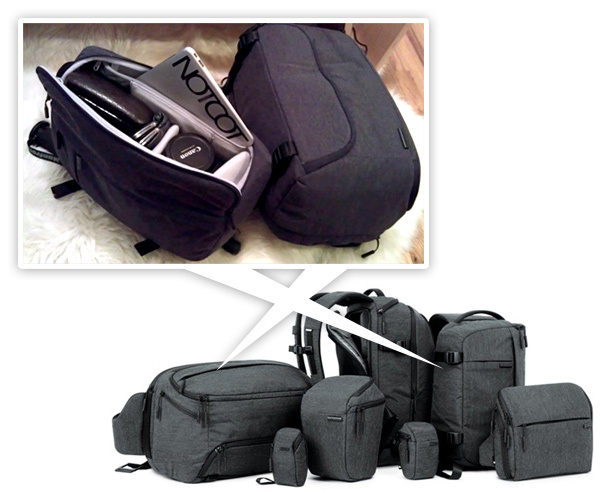 Both the DSLR Sling Pack and DSLR Pro Sling Pack have the sling design for easy access (but note that these are righty bags… our resident lefty had a bit of an issue getting used to slinging it in that direction), have adjustable velcro dividers and lots of pockets and zips tucked away… Biggest differences are how much each can hold and the Sling Pack can fit an iPad/Macbook Air 11” whereas the Pro Sling Pack can hold up to a MacBook Pro 15”… little differences are things like the larger bag having a rain cover, waist straps (that can be tucked away! ), etc. 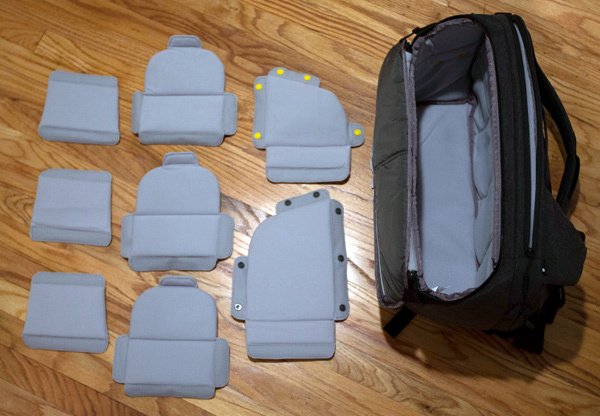 And far more options inside! 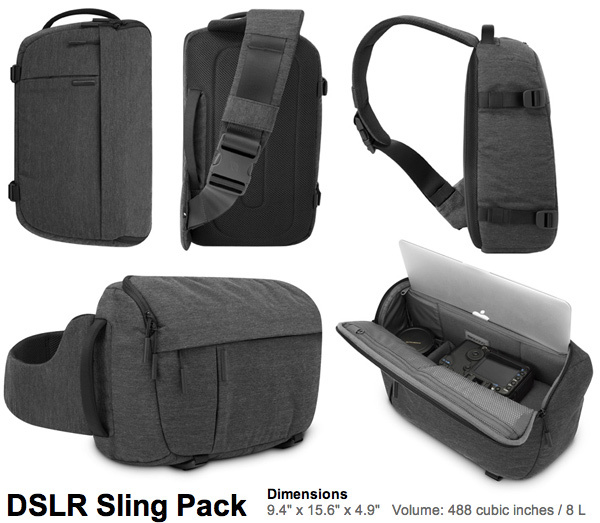 The DSLR Sling Pack has a few mesh/elastic pockets built in, as well as one on a velcro panel. 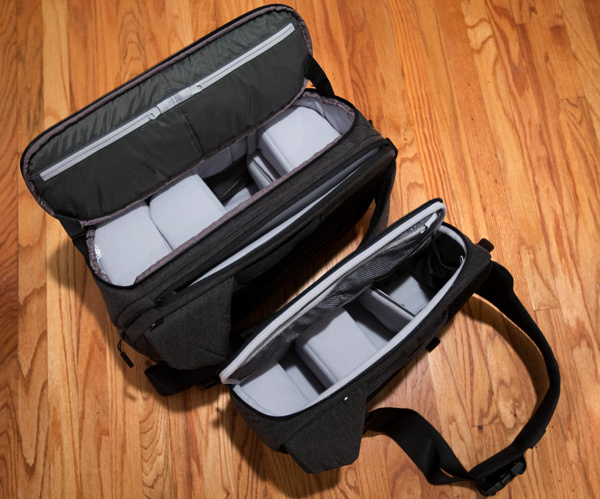 The color coded buttons on the unique velcro panels in the DSLR Pro Sling Pack help you fit them into place in addition to the velcro. 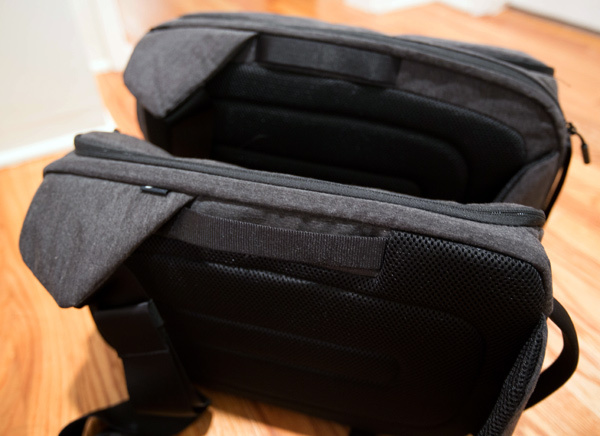 Additionally, in the picture above, the “easy access” lens compartment is just made up of these dividers - both that section and the main opening open right into the large compartment. 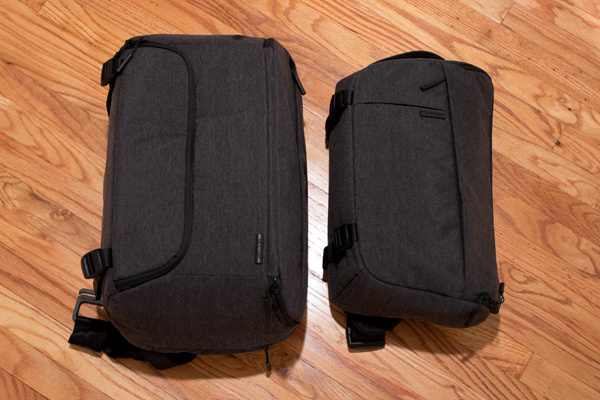 Both bags have nice easy handles to grab the bag from the top… the Pro’s lies flat. 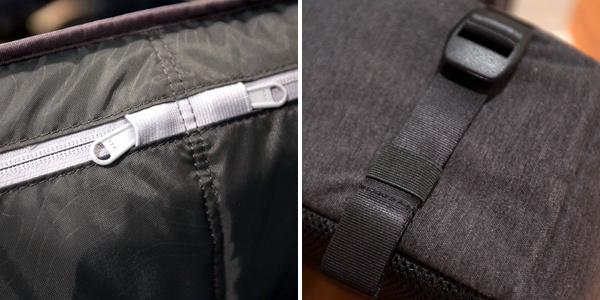 Other nice little touches… zippers that slip in to protected sleeves and elastic to keep straps from flapping about. Conclusion? 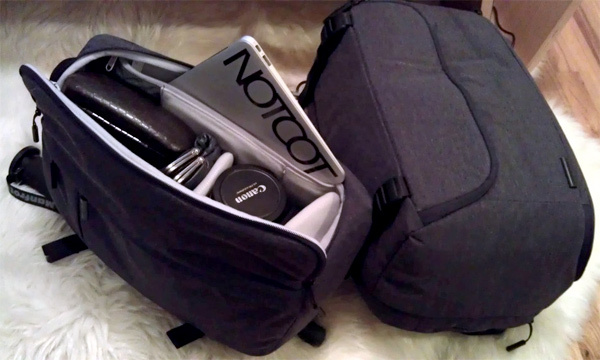 The DSLR Sling Pack is perfect for me as a super tech/travel purse replacement… as in, it holds my essentials and barely anything more (macbook air 11”, DSLR+lens, charges/cables, wallet) - i’m barely going to be able to sneak a magazine in there on a flight. 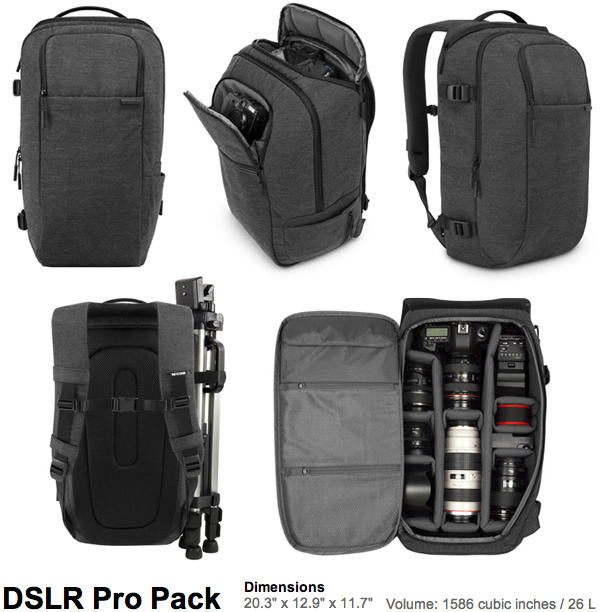 The DSLR Pro Sling Pack is far larger than it seemed in the pictures ~ and is perfect for carrying a 15” macbook pro, camera/s, lens/es and/or flashes, etc… and might actually be ideal as a nice, versatile, weather/everything prepared bag (so nicely padded all around!) when you want to to carry more than what’s in the sling, but actually fit toiletries and basic overnight/weekender stuff in it as well! 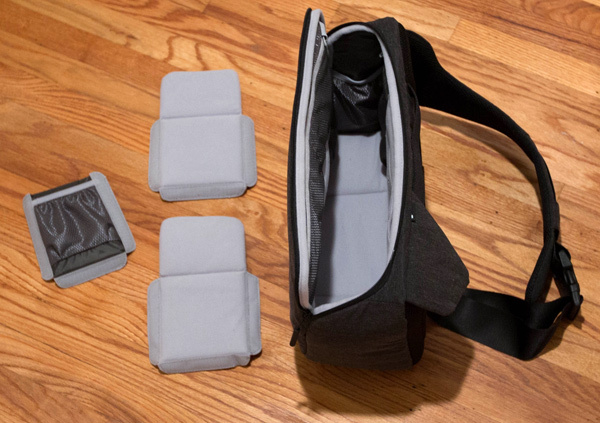 Hi, I realize that this review is a bit old, but reviews for these bags are pretty sparse on the web. 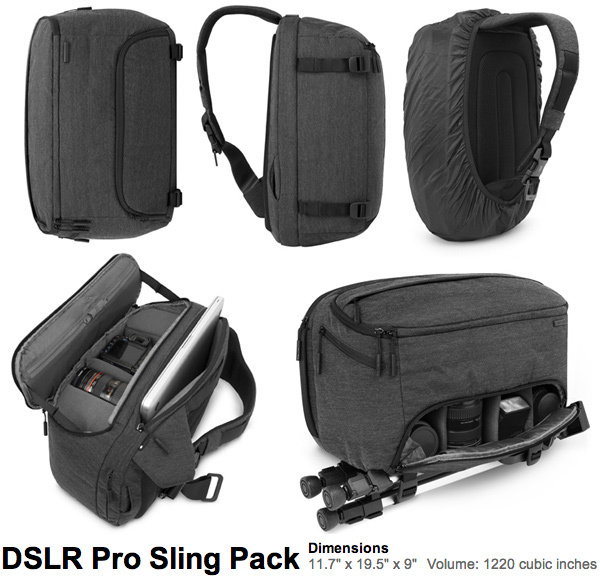 Was wondering how the DSLR Pro Sling (the bigger sling pack) faired on a plane? Was it able to fit under the seat in front? 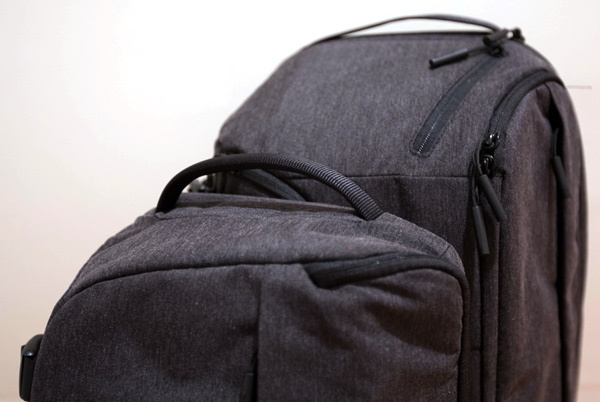 (A guestimation is fine) - Any other stylish recommendations for bags that could comfortably fit a 15” Macbook with room for some moderate camera gear? THanks Notcot! Wow, this was incredibly helpful. I’ve been getting back into photography and been wanting to invest in new lenses and a pack to hold it all, and I’ve been trying to decide between these two. 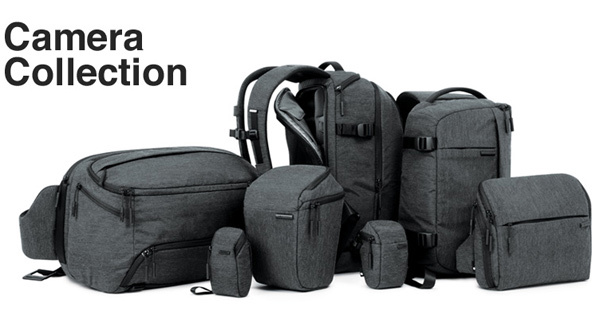 It looks like I’ll be going with the Pro Sling Pack.